“The eventual goal is to actually find something in near real-time,” says Werthimer. And that’s the scale on which scientists have done much of the previous SETI research, although admittedly the Breakthrough Listen team gathers more data per second than any previous project, making the task more daunting. But right now, their team is just beginning to develop their data-analysis pipeline, according to Werthimer. And only a small fraction of the many months of data has been fully scrutinized so far. That lag between surveillance and study could set the project up to miss signals. “Our philosophy has been that it’s important to look back quickly,” says Jill Tarter, the former head of NASA’s only SETI program, the High-Resolution Microwave Survey, and the SETI Institute’s alien searches. Previous projects, and modern ones like the search at the Allen Telescope Array and METI International’s hunt for laser pulses, process their data in real-time. At the Allen Array, within a few minutes of picking up radio waves, software combs them for signs of significance. If it finds something interesting, the telescope swings back right away to see if the strange thing is still there. After more automated verification tests, the computers alert the humans, right away. 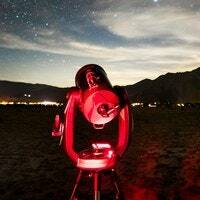 The humans take a look, and then, depending, call other humans with telescopes, also right away. But right now, if Breakthrough finds a candidate signal, it might sit on a disk, unidentified, for months. As in the HD164595 debacle, no one will be able to confirm its origin or existence in a timely way, because no one—including the Breakthrough team—will know it exists at all. If they processed in near-real-time, as they plan to, their telescopes would get an alert almost as soon they detected something interesting, and then the system would go look for that something again. Right now, they can look back only much later. Unlike the Russian scientists, Breakthrough’s astronomers are unlikely to announce that weird radio waves they see only once might be aliens. But they are also less likely than fast follow-uppers to see those weird radio waves more than once, and learn more about them. So although they’re not likely to make big news by announcing false positives, they might miss actual signals, from actual aliens. Most false positives are just human technology—airport radar, too-close cell phones, spook satellites—masquerading as extraterrestrial messages. And Breakthrough could improve the tools they use to unmask those masqueraders. First, by fixing the real-time problem. But also by adding antennas. 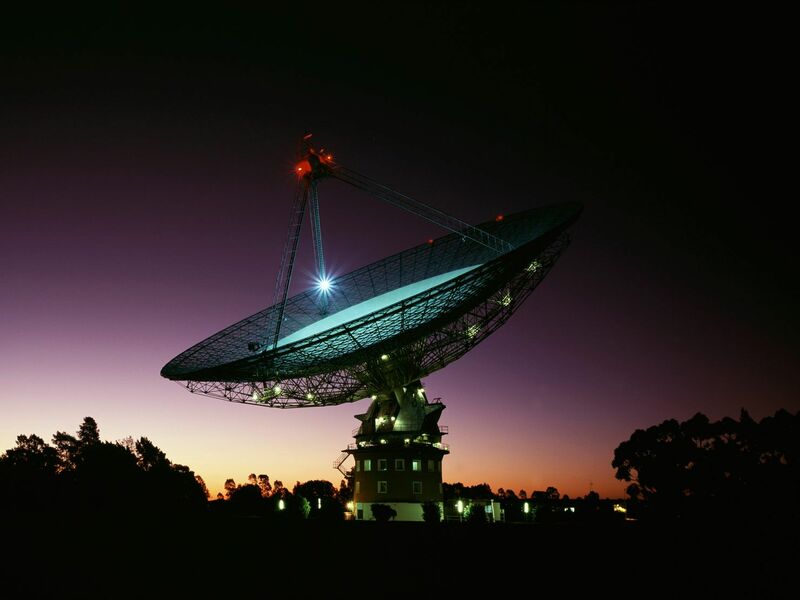 Breakthrough currently does its observations using just one radio antenna at a time (Parkes, Green Bank, and FAST are all single-dish radio telescopes). “They ought to be thinking about what other telescope they can use,” says Tarter. The best way to tell if your telescope is picking up an alien signal or one from humans is to get independent verification. If a second telescope in different location watches the same spot in sky simultaneously, it won’t pick up the same earthly interference. 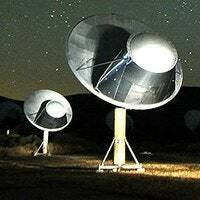 So if astronomers see a suspicious signal with one telescope and not the other, they can tell it comes from Earth and not from ET. It’s like how an airplane passing over Orion from my perspective won’t appear at all in your view of the constellation. 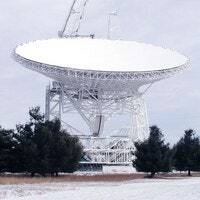 In all of its campaigns, the SETI Institute’s Project Phoenix used a “Follow-Up Detection Device,” hooked up to a second, far-off telescope (in the movie Contact, Jodie Foster kisses her computer screen and says, “Thank you, Elmer,” as in “FUDD”). And one day when their second telescope was broken, they learned how important it actually was. False alarm bells rang hard, and radio waves from the definitely-from-people Solar and Heliospheric Observatory almost had them thinking about breaking out the champagne to toast an end to our cosmic loneliness. Werthimer agrees that using two telescopes is a smart method to rule out interference. “That’s a good way to do it,” he says. “It’s kind of an expensive way to do it.” Which is true—they would have to commandeer other telescopes and build new instrumentation. But Breakthrough Listen also has more money than any other SETI scientists. Werthimer says Breakthrough is hoping to do experiments using array telescopes, like South Africa’s MeerKAT, whose many antennas could accomplish a similar sifting of signals. And, he continues, Parkes—although it has just one antenna—has an instrument that can look at 13 spots on the sky at once. They can rule out signals that seem to come from multiple spots, which is what they would see if, say, the telescope was actually picking up a nearby television station. It’s a start. But our technology bursts on and off at all kinds of intervals, Tarter points out, showing up one second and not the next, or staying on for an hour and then dipping out. If a signal appears when you’re looking at Star A and disappears when you look away, that could mean it comes from Star A. Or an infringing digital camera could have turned off at the same time you moved the telescope. A coincidence like that is unlikely to happen multiple times in a row, but it could. Getting there is hard and complicated. But it is at least straightforward. If Breakthrough Listen speeds up its signal-detection and marshals more telescopic resources, it could cut down on false positives, unverifiable question-marks, and missed opportunities. Just ask the Russians. There's nothing more relaxing than soaking in a mineral-rich hot spring, but if you happen to visit Tanzania's Lake Natron, you're better off leaving the soaking to the lesser flamingos that famously inhabit the area. Take a look at these unlucky animals that ventured into Natron's salty waters. With animals literally being turned into calcified statues, you might wonder why flamingos like to hang out on the lake when there are plenty of freshwater sources throughout Africa they could choose from instead. There are actually several reasons, but first and foremost, it comes down to diet. Lesser flamingos primarily feed on a cyanobacteria known as spirulina (Arthrospira fusiformis), which grows in bodies of water with high alkalinity levels. Because Lake Natron is brimming with alkaline water, it offers the perfect environment for this bacteria to thrive. As a result, flamingos flock there every year by the millions to feed and breed. In addition to serving as the main food source of lesser flamingos, spirulina is also responsible for the birds' famous coloring. While the cyanobacteria itself is dark blue-green in color, spirulina contains photosynthetic pigments called carotenoids (also found in things like carrots, egg yolks and autumn leaves). You may have heard that if you eat enough carrots, your skin will turn orange. This is 100 percent true, and it applies to flamingos as well. The carotenoids in spirulina are directly responsible for the bright orange and bubblegum pink hues of flamingos. The abundance of spirulina isn't the only reason Lake Natron (pictured above) is such an ideal habitat for these gorgeous birds. The lake is inhospitable to most flora and fauna, but the flamingos can safely wade in the shallow areas of the water. And because these birds like to breed and nest on the lake's isolated islands, the caustic water that surrounds them acts as a barrier, keeping them safe from predators like baboons and wildcats. This natural buffer has enabled the birds to proliferate at this site in great numbers. Currently, Lake Natron serves as the primary breeding area for 2.5 million lesser flamingos — a number that accounts for about 75 percent of the species' global population. Needless to say, the flamingos have a pretty sweet arrangement, but this remarkable balance is starting to change as the area surrounding the lake is in danger of giving way to man-made development. Threats to Lake Natron and other lesser flamingo breeding sites across Africa are causing a "moderately rapid decline" in population, which is why the International Union for Conservation of Nature (IUCN) has declared the species "near threatened." One of the most recent threats to the Natron's ecosystem was a proposal to build a nearby soda ash plant, which would have extracted sodium carbonate from water pumped in from the lake. 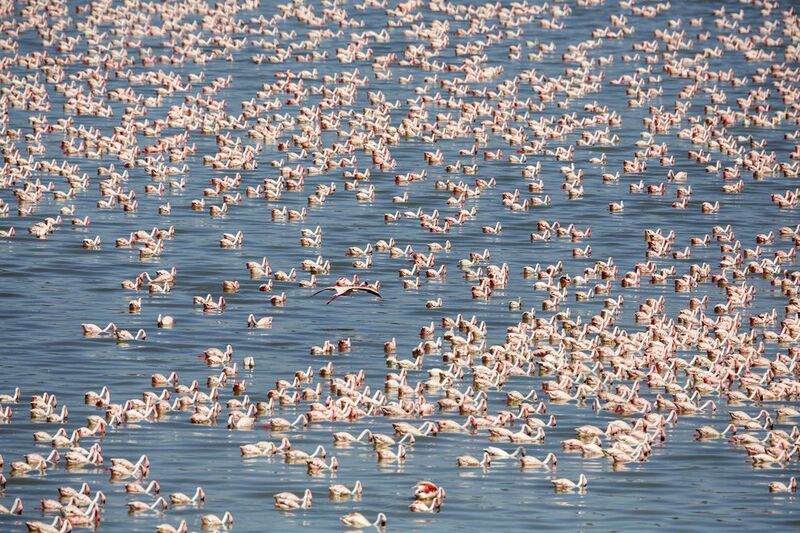 According to BirdLife International, harvesting soda ash from Lake Natron "would not only affect the water levels and quality, and hence the breeding flamingos and other water birds, but also nature tourism, which is an important income generator in the wider area." Luckily for the flamingos, the plan for the soda ash plant was eventually defeated. Despite this victory, the flamingos remain in a precarious position as the forces of climate change and human encroachment loom. About 32 percent of Tanzania's land is protected (the average for developing countries is just 13 percent), but Lake Natron's only designation is that of a "Wetland of International Importance" — a title that holds no enforceable policy power. Here are quite a few of our fun activities as well as some super cool ideas I hope to try with my son this year! They are all created by awesome bloggers! 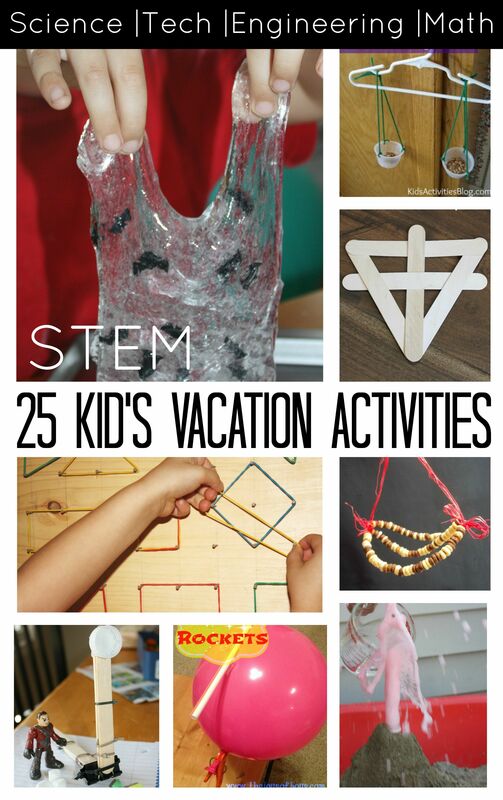 These STEM activities will keep the kids busy on vacations, weekends and those days when you just need to do a little something different! 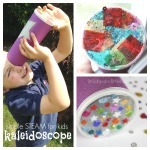 If the kids are bored, STEM activities will inspire them! 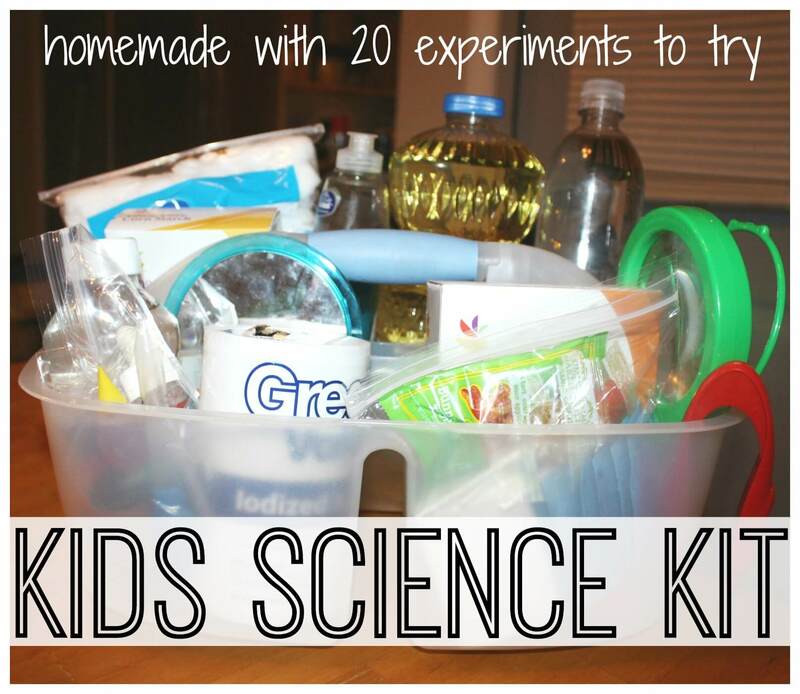 Make a shopping list, head to the grocery store and come home with all the ingredients needed to try some great science experiments. I bet you already have much of what you need already. 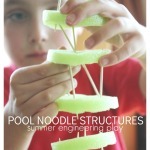 Check out some fun new ideas for summer STEM! Leftover candy makes for great science and a good way to use some of it up! We stumbled upon this before Christmas and had a lot of fun trying it out! Must check it out! This is definitely our coolest volcano ever! Make it in the sandbox or if you have snow, make it out of a mountain of snow! Either way it’s tons of fun and a delight for kids and adults. MUST TRY! 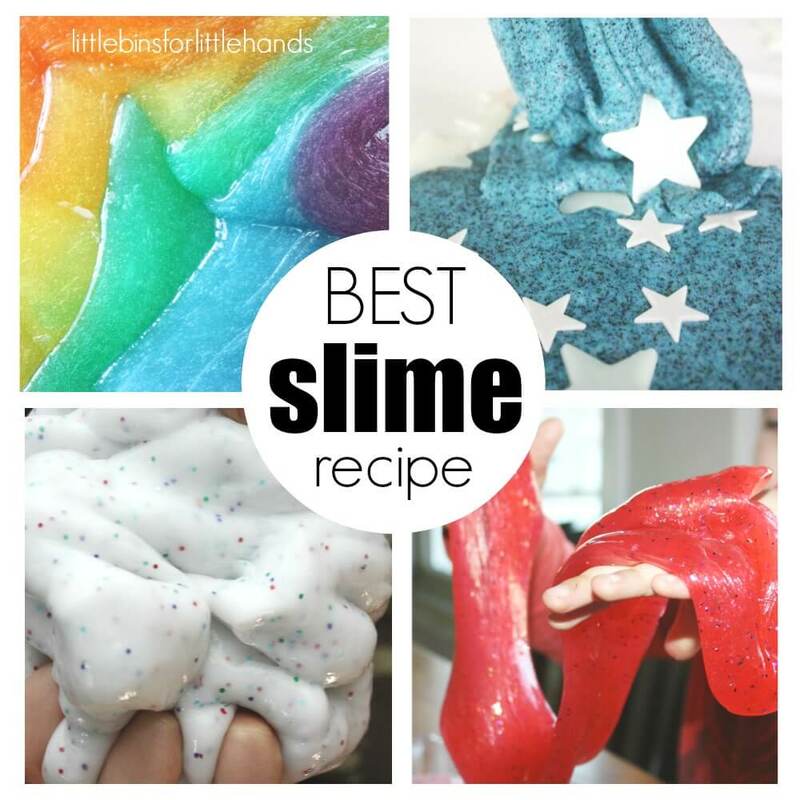 We make slime all the time for quick play. This stuff is so cool and easy to make. One bar of soap and a very cool science experiment! Simple STEM ideas with cardboard, play dough and straws, cups and more! Try ordinary materials to create new play ideas. These are Christmas themed but can be adapted for any time of the year. Ice melt: Space men play! If you haven’t used a milk carton to make an ice block, you have to try it! Grab some lego men, imaginext guys, super heroes, or whatever and freeze them for an icy excavation. Baking soda science is pretty cool and only uses two common household ingredients. 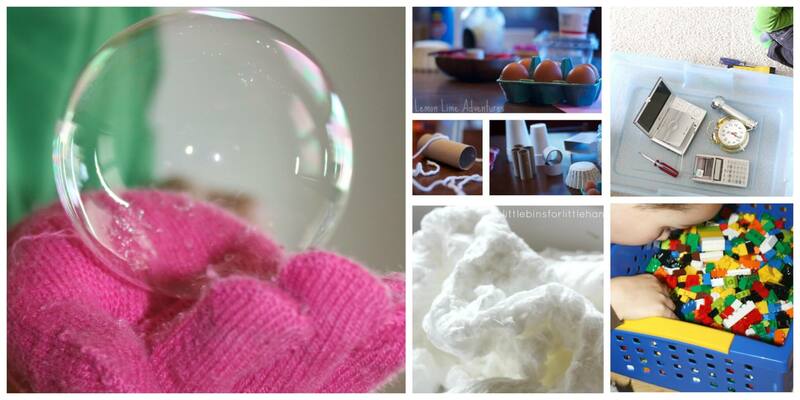 Check out our 10 Unique Baking Soda Science experiments for Summer. Looking for homemade sensory bins and sensory play recipes, these are perfect and straight out of the kitchen! A board, some nails and plenty of rubber bands. A few dollars for a cool STEM toy. These are so easy to make and perfect for a bag of marshmallows! 3 ingredients and the coolest bubbles ever! 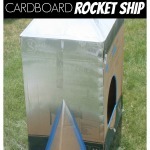 Test gravity, explore different weights and shapes with rain gutter races. Gather your cars, balls, plastic eggs and play with ramps, angles and friction! Pick up a rain gutter at the hardware store and cut it in half, so easy and low cost! Check out our 20+ Lego building ideas including a marble run, zip line, parachute, hex bug habitat and much more. Measure the rooms in the house! Sometimes you need something simple and easy but involves a little movement, problem solving, but no real set up of materials. Show your children how to measure large areas by using a variety of measurement tools. Remember, it has to be the same tool used for the whole room. The kids can use themselves to measure the room, or a shoe, or even a block! show them how to place it end to end, mark the spot and repeat all the way to the other side. How many body, shoe or block lengths does it take! Grab a carton of eggs and read all about it! Sweet and easy idea for feeding our feathery friends. Turn it into a nature study by observing the birds that stop by. Simple and easy. 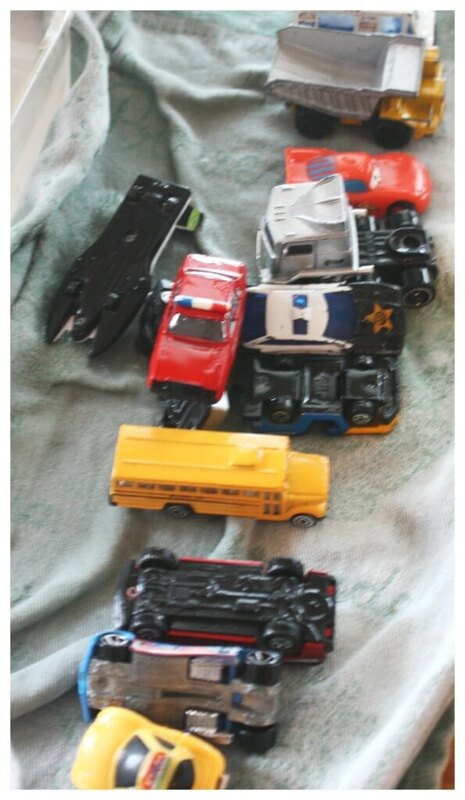 My son was entertained all morning with these. Building simple machines is an awesome STEM activity! Another great engineering and math activity! 2 options! One for younger child and one for a bit older child! I think my son would enjoy both though! Easy to pull together. Super fun and who doesn’t want to play with the secret ingredient! We hope you find some great ideas for your vacation play! Frugal fun all week long. 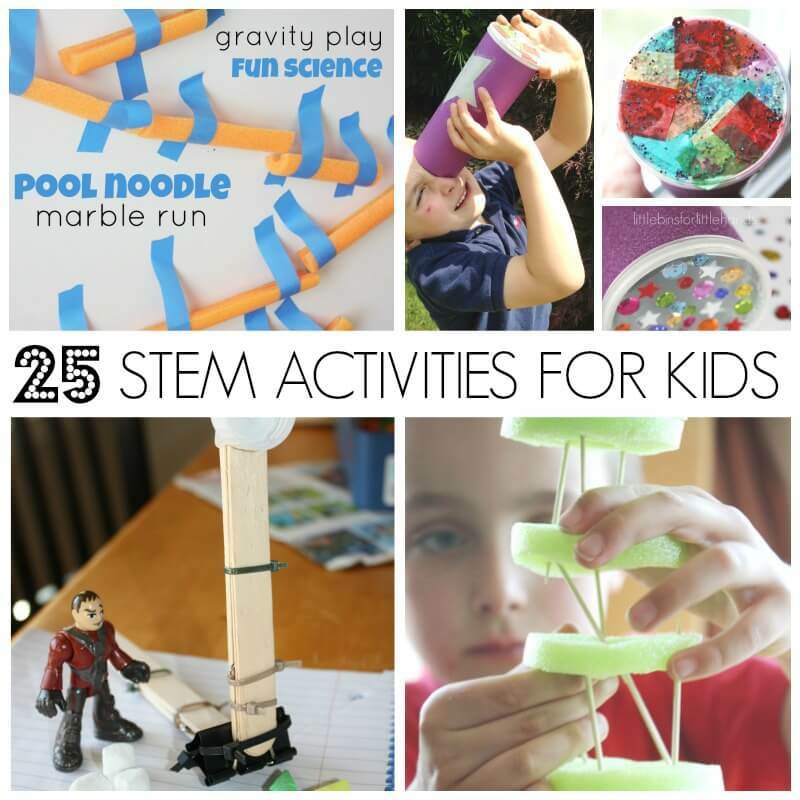 STEM activities are awesome ways for kids to learn, explore, discover, create, and play! Around the house STEM activities for school vacation. Please follow along with us in the New Year! More fun vacation ideas! Click photos for full articles. 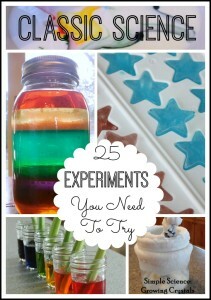 Easy Melting Ice Activity and Science Experiment! Melting ice is such a simple but important water science activity for young children. 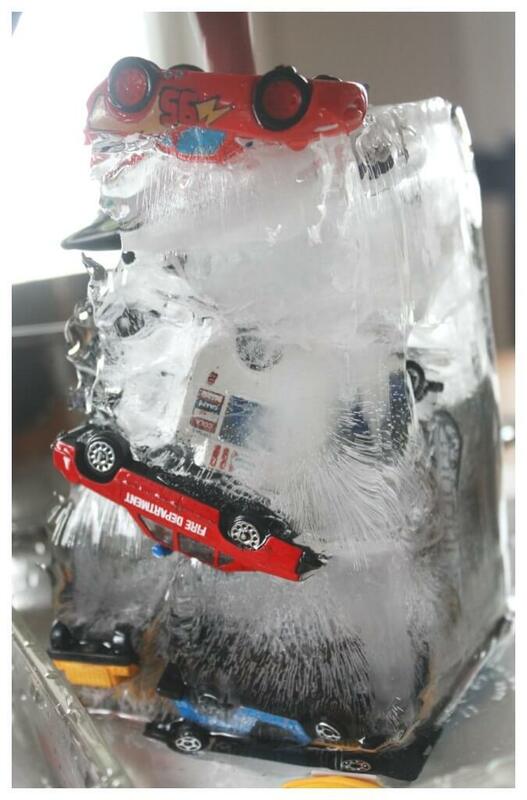 We make our water science experiments playful like this frozen car rescue! Ice melt experiments are neat for kids to see the change happening. 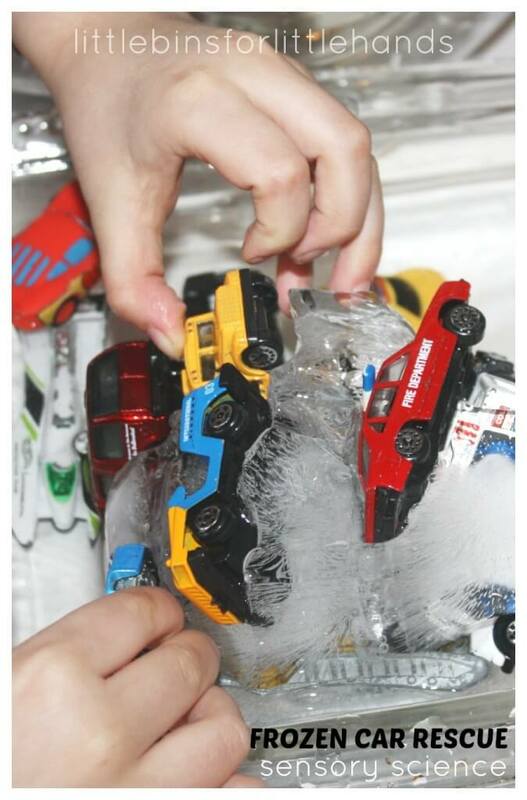 Our frozen car rescue keeps the fun and learning exciting as each car is rescued! 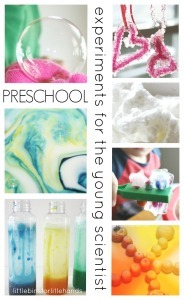 We have tons of great ideas for ice melting sensory science play here. 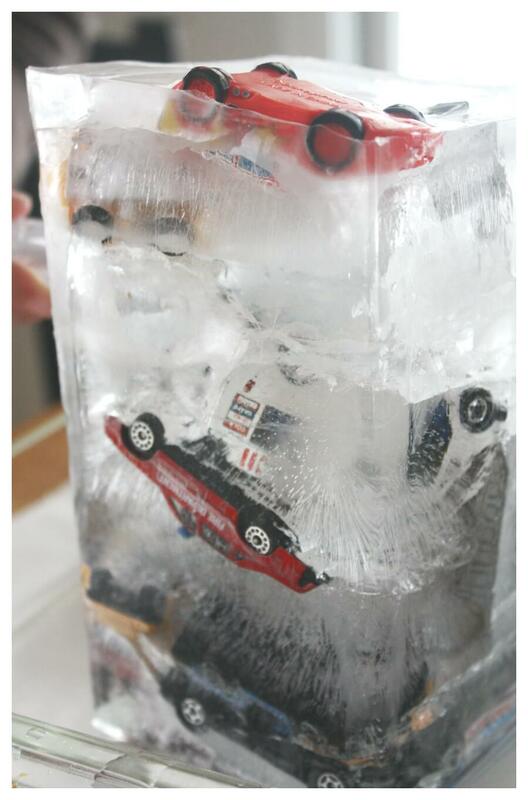 This frozen car rescue is simple to make! All you need is a handful of cars and a milk carton. Cut the top off of your milk carton, add a few cars and a small amount of water. Pop it into the freezer and keep repeating in small layers until you have filled the milk carton! This way your frozen car rescue has plenty of cars to find until the very end. 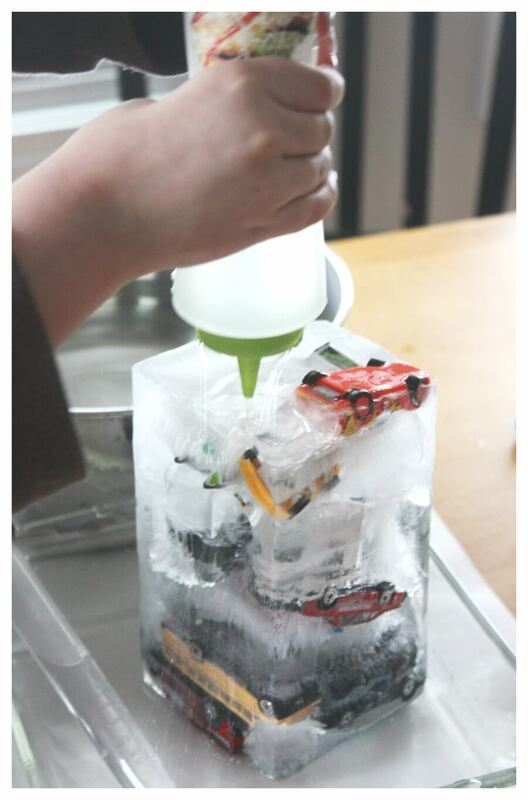 Freeze cars in layers in a milk carton to make our frozen car rescue activity! When your block is frozen solid, tear away the milk carton. Place it in a container. This frozen car rescue melting ice activity and science experiment is awesome for encouraging fine motor skills. Give your child eye droppers, squeeze or squirt bottles, and basters to melt the ice. I set out a large bowl of warm water as well. Although this makes a great independent play opportunity, adults have been know to enjoy it too. If you are sitting with your child, this is a great opportunity to encourage observation skills. What do you see? What do you fee? What is happening? Frozen car rescue is a great chance to talk about reversible change! Make sure to feel the ice and explore with your hands too! 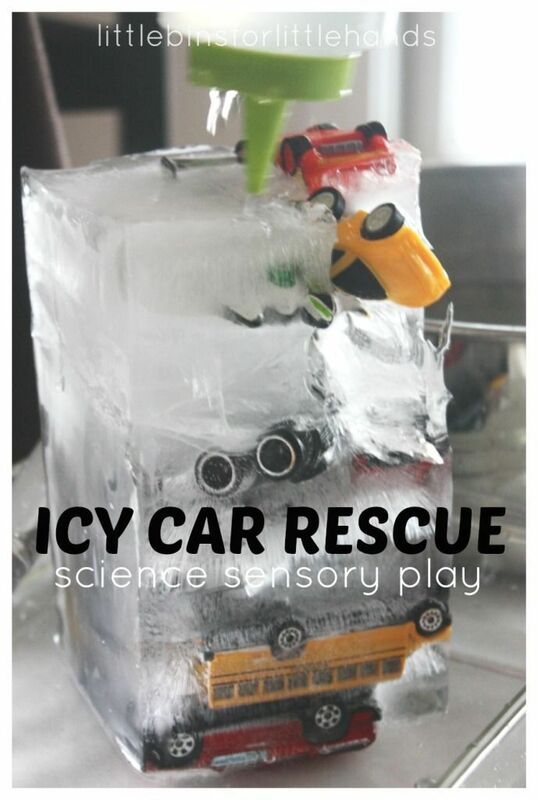 Our frozen car rescue is a multi-sensory experience. 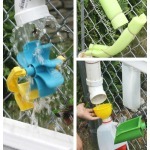 Makes great indoor and outdoor science sensory play for all ages to enjoy! We love melting ice activities all year long. Cool in the Summer for outdoor play and great indoor activity for the Winter. FUN ICE MELTING IDEAS. Click photos. You’ve got your child’s Halloween party planned. Yummy treats for guests to eat? Check. But what about that little something to really “wow” your guests and make the party special? Add a spooky fog drink! It’s easier than you think. I promise. Fill your glass with your spooky drink first. 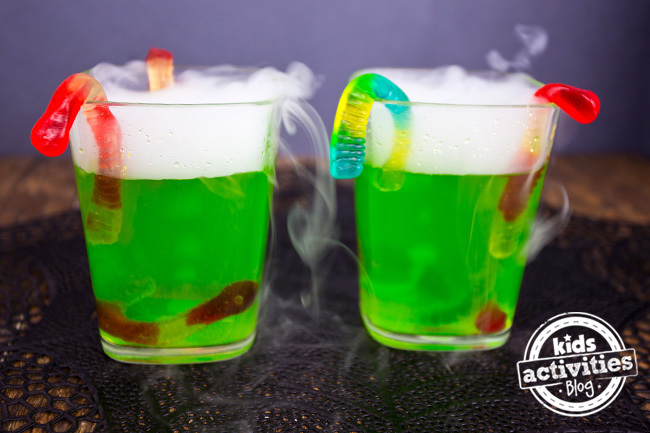 Add gummy worms or other creepy crawlies to the edge of the glass for an extra spooky effect. 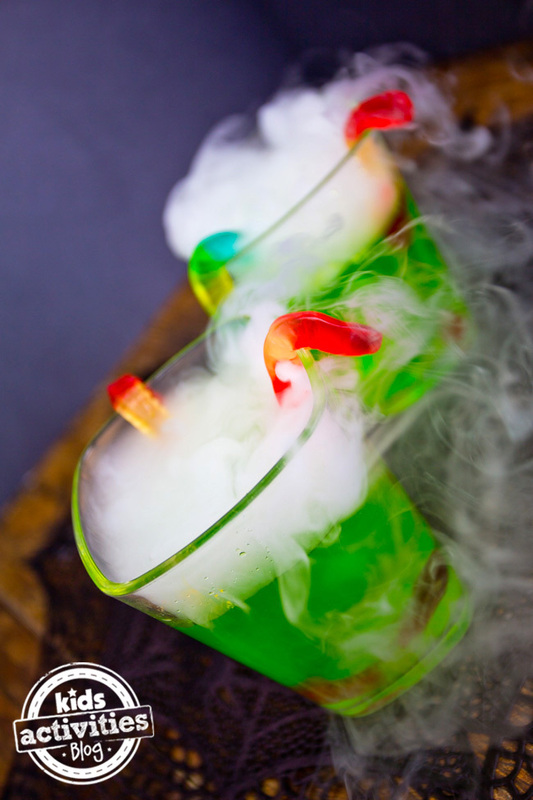 The final ingredient for your foggy witches brew is to add in a few small pieces of dry ice. Our dry ice came in a big brick and we had to chip pieces off of it. Use tongs to handle it or gloves if you must pick it up with your hands. It is very, very cold. Watch the children’s eyes grow wide with amazement at what you have just created. You can even use beakers to create a Mad Scientist Potion. Cool, right? Dry ice is a solid form of carbon dioxide gas that we exhale every time we breathe. The foggy smoke is not harmful. Of course, if you will be using large amounts of dry ice then be sure to work in a well ventilated area to keep good oxygen flow in the room. Dry ice is much cooler than regular ice and can give you a freezer burn if you touch it directly so wear gloves when working with it. 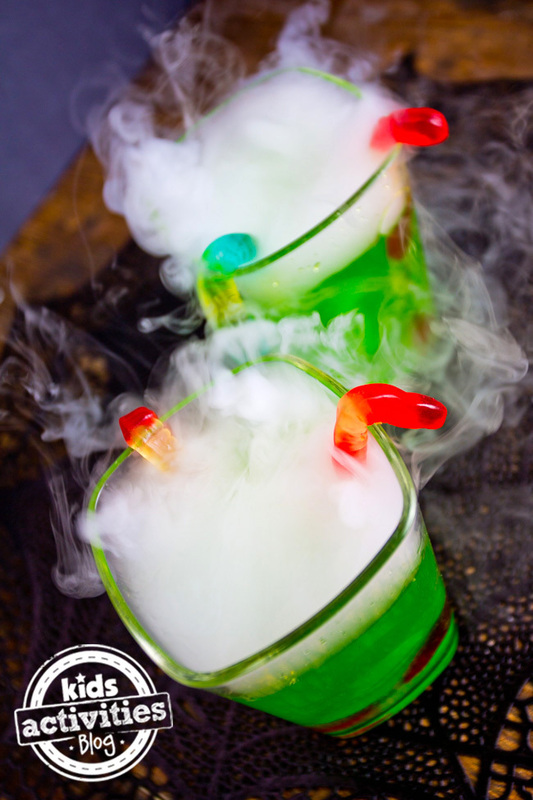 It will sink to the bottom of your drink so either wait until fog clears to take a drink or just sip the drink from the top without letting the dry ice actually go into your mouth. Don’t eat solid dry ice. It’s way too cold for your body! 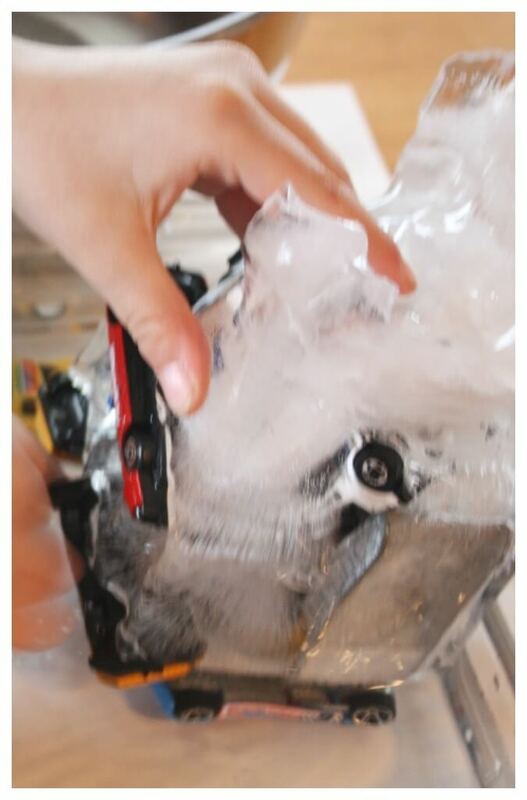 Store dry ice in an insulated cooler, not your freezer. It is colder than regular ice and will slowly melt in your freezer. As it melts, it turns from solid carbon dioxide to gaseous carbon dioxide and the air pressure in a confined area of your freezer will increase and could cause damage. Buy your dry ice as close as possible to when you plan to use it as it is difficult for you to keep it cold enough to remain solid for more than 8 hours or so in a home environment. 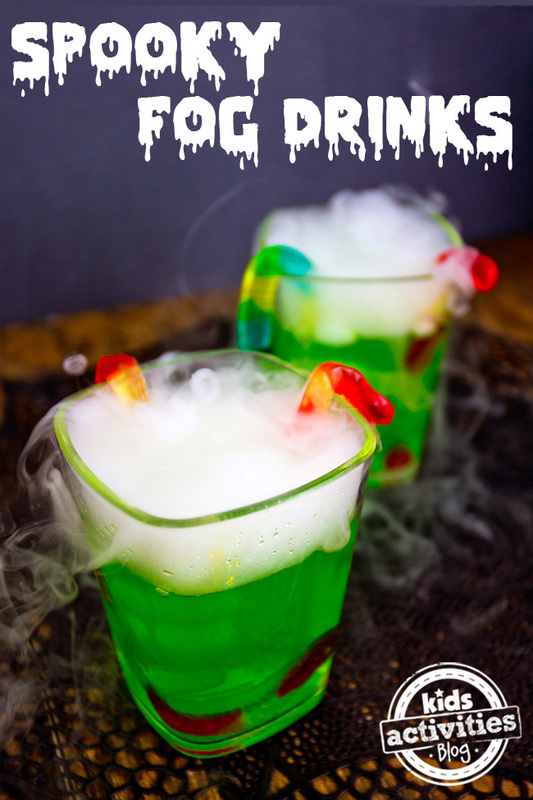 This spooky Halloween party drink is sure to be a crowd pleaser! Have you even made fog drinks? Let us know if it was as hit. What other kids activities would you like to have at the perfect Halloween party? Mir ist durchaus bewusst, dass beispielsweise Essence und Catrice auch günstige Nudetöne führen. Trotzdem wollte ich schon ewig die Naked Paletten von Urban Decay ausprobieren. Als wir dann in Frankreich im Sephora vor dem Display standen, hatte ich dann so meine Probleme. Beide hatten Farben, die mir nicht gefallen haben, bestanden hauptsächlich aus schimmernden Lidschatten und machten es mir trotzdem nicht leichter, mich für eine von beiden zu entscheiden. Und hier kommt die Naked Basics ins Spiel. Für mich die perfekte Lösung. Tragbare, satinierte Töne, ein Highlighter, geniale Qualität und für sechs Farben nur 25 Euro (gegenüber fast 50 Euro für die großen) zum ersten Urban-Decay-Ausprobieren. Ich will jetzt nicht versprechen, dass Naked 1 und 2 niemals in meinen Besitz wandern werden, aber sie rissen mich in Avignon nicht aus den Flipflops. Mittlerweile ist das gute Stück jeden Tag im Einsatz und es macht richtig Spaß mit den Lidschatten zu arbeiten. Nichts krümelt, die Pigmentierung ist der Wahnsinn und auch ohne Base (siehe unten) sind die Farben kräftig und die Haltbarkeit endet erst beim abendlichen Wattepad. 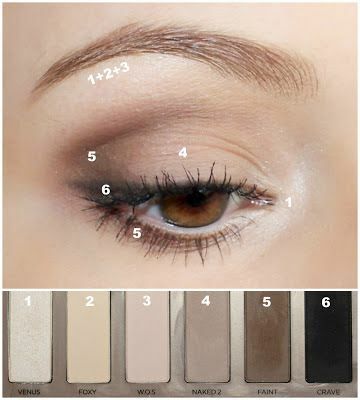 Mein Lieblingsaugenmakeup gibt es heute deshalb mal als Tutorial. Alles ohne Base und mit dem Deluxe Pinselset von bh-cosmetics, was mir zum Testen zur Verfügung gestellt wurde. Eine ausführliche Review dazu wird in Kürze folgen. Die nächsten sechs Bildchen sollten mithilfe des Texts gut verständlich sein und einen guten Anhaltspunkt für alle die geben, die bei den anderen AMUs immer nur sagen "wie machst du das??". Das ist die Grundtechnik, die meiner Augenform am besten steht. Für die farbigeren Varianten ersetzte ich dann nur Braun und Beige durch etwas knalligere Farben. Mit einem großen Lidschattenpinsel Naked 2 über das ganze bewegliche Lid geben und bis über die Lidfalte hinaus mit einem sauberen Pinsel verblenden. Den Innenwinkel mit Foxy aufhellen und auch am unteren Wimpernkranz bis zur Mitte hin verwischen. Auf einen Pencil-Brush ein wenig Faint nehmen und in die Lidfalte und das äußere "V" einen dünnen, präzisen Strich ziehen. Mit einem weichen Pinsel zur Mitte und zur Augenbraue hin verblenden. Den unteren Wimpernkranz ebenfalls "bräunen". Die drei hellsten Töne mischen, so dass es dem Unterton eurer Haut am nächsten kömmt und unter der gesamten Augenbraue auftragen. Mit einem abgeschrägten Eyeliner-Pinsel mit Crave einen Eyeliner ziehen, der erst in der Augenmitte ansetzt und je nach Augenform nach außen ein wenig dicker wird. Habt ihr die Naked Basics, oder doch lieber die Naked 1 oder 2? 25 Euro für schlichte Farben: eine gute Investition oder verschwendetes Geld? 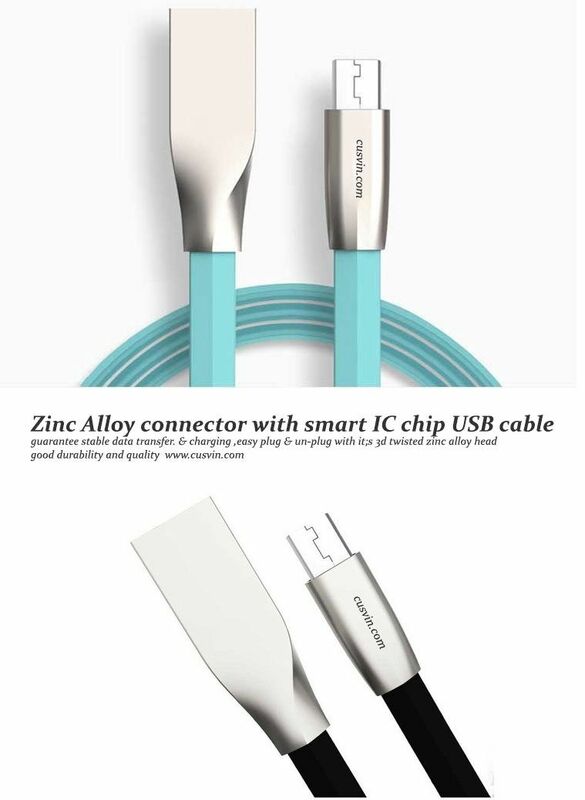 New TPE 2 in 1 android and apple?USB?Data / charging Cable for iPhone/Andriod. Sync, charge, transfer data, internet tethering. High use frequency,soft line,abrasion-resistance,bend-resistance with long durability.